Joseph Julian Rice was born October 15, 1946 to Joseph Sr & Ruth (Brown) Rice in Wadena, Minnesota. 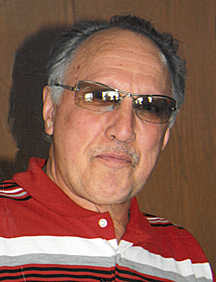 He graduated from Wadena High School with the Class of 1964. Joe was employed with Merickel Lumber in Wadena for a short time before enlisting in the United States Navy. While in the service, Joe honorably received his National Defense Service Medal and a Vietnam Service Medal. He remained in the United States Reserves until 1970 upon the U.S.S. Polk. Joe was an assistant manager for 30 years at Long Drugs in California. Joe enjoyed watching all sports on television. Joseph was called into eternal rest at Reliance Hospice in Palm Desert, California on Monday, March 18, 2019, after a long battle with cancer. Preceded in death by mother Ruth Denniston; father Joseph Rice and step-father Earty Shriver. Survived by sister Deboreah Lepper; daughter: Cinnamon (Glen) Lancaster; sons: Jason (Sara) Rice; Damon (Jennifer) Rice; stepchildren: Jorge (Laura) Esteban; Brissa and loving ex-wife Margarita; 11 grandchildren; 3 nephews: Richard Lepper, James Lepper, and Michael Volpe. There's still time to send flowers to the Graveside Service at the Wadena City Cemetery at 11:00 AM on June 15, 2019.